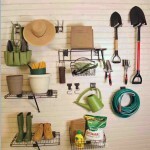 So, was one of your New Year’s resolutions to finally get your closet, pantry or garage organized? How is that going for you? If you are like a lot of other people, you have tried to get started but it just seems too overwhelming. Don’t get frustrated. 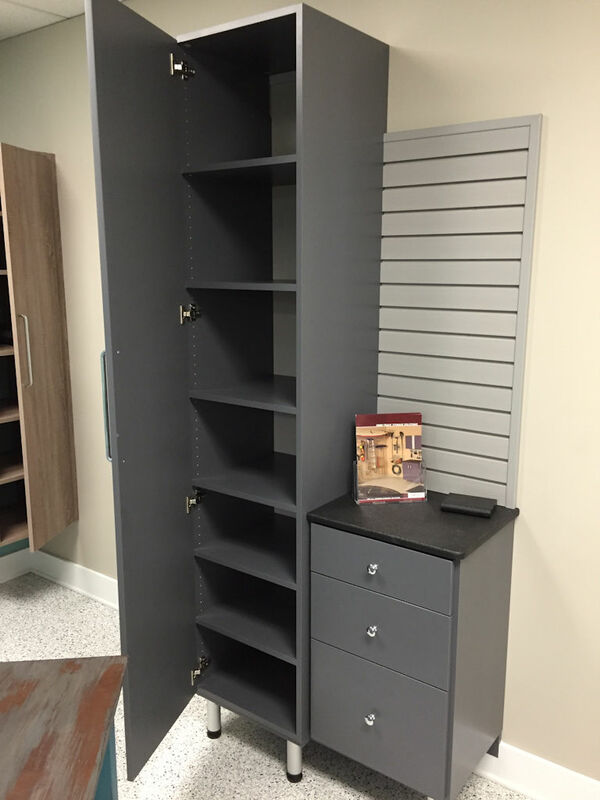 Come visit us here at DKM and let us help you transform your nightmare into the functional storage space of your dreams. Let’s take a look at some of the ideas we can incorporate into your design to help make that possible. 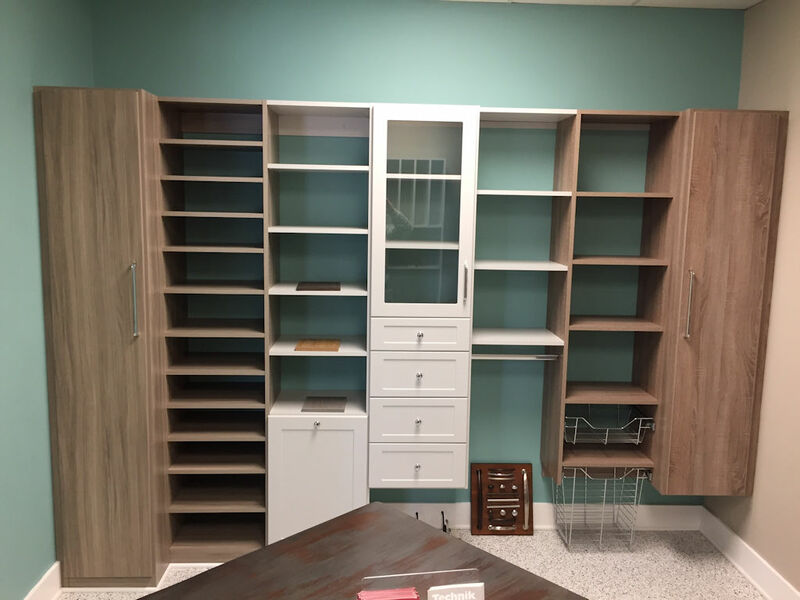 We will custom design a closet system for you that will maximize your available storage space. From simple shelves and hanging rods to more elaborate systems with accessories like drawers, hampers and pull-out baskets, our designs are based on your needs and desires for the space. 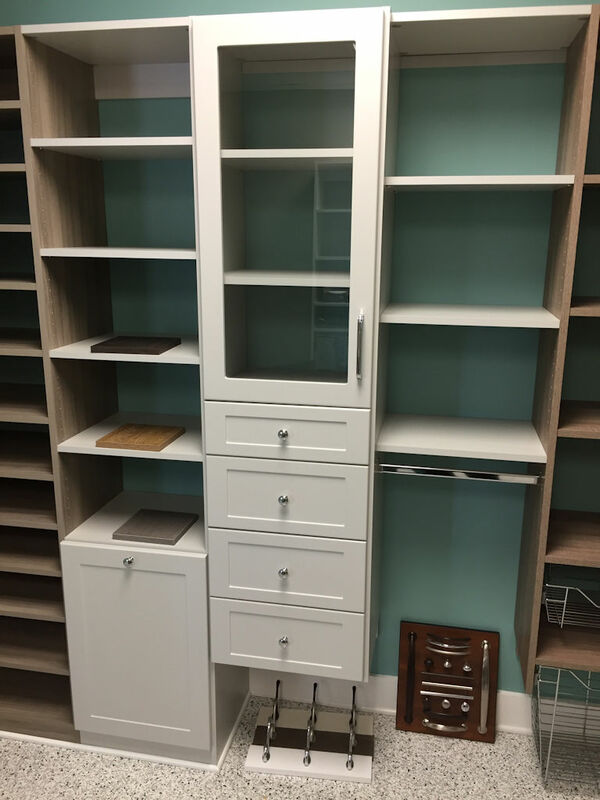 The display pictured above is our new closet display which shows many of the design elements that can be incorporated into your design. 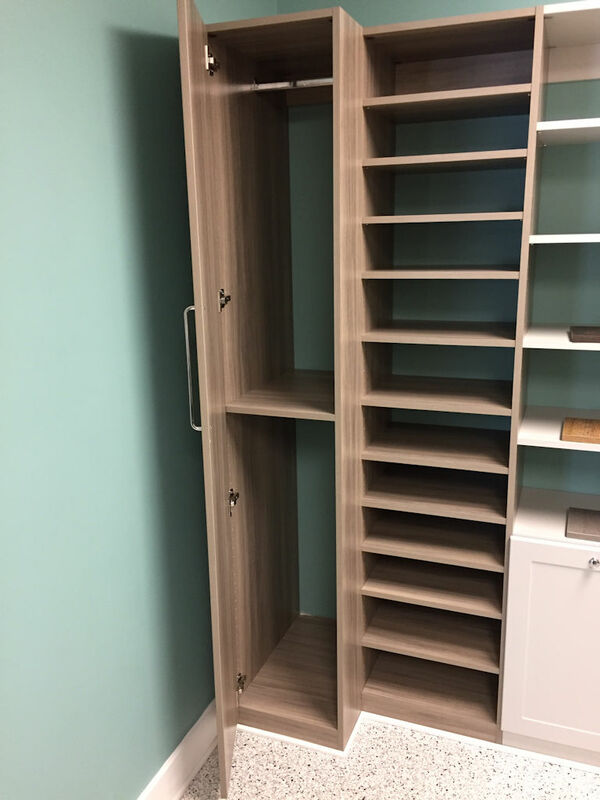 It also highlights three of the many different colors available for the closet systems. 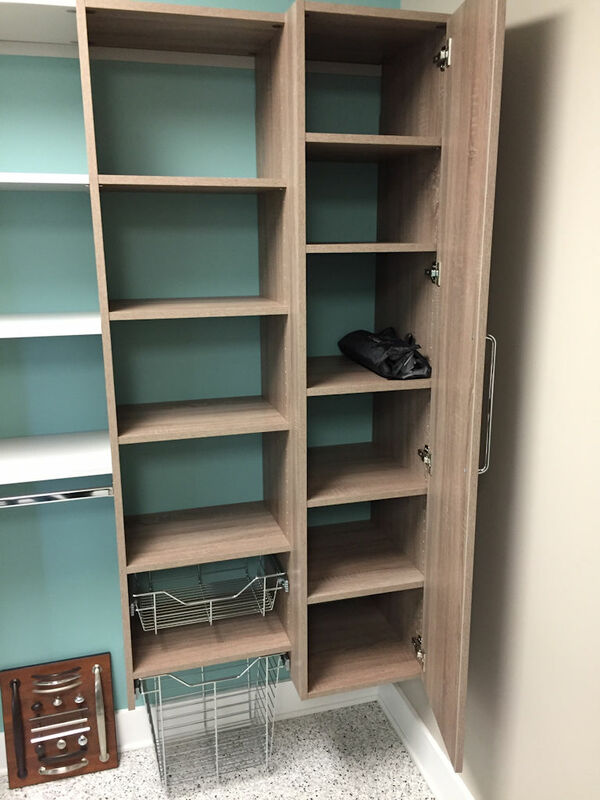 All of our closet systems can either be taken all the way down to the floor or stopped short of the floor to accommodate storage under the bottom shelf. The picture below shows a close up view of the left hand side of the display. The color for this display is Georgian Elm. It features a section of double hanging space behind the door and a section of adjustable shelves to the right of the door. Just imagine how many pairs of shoes or sweaters you could fit on those shelves. The next two pictures show the center section of the display in Folkstone Grey which combines a “to the floor” unit with a hanging unit. 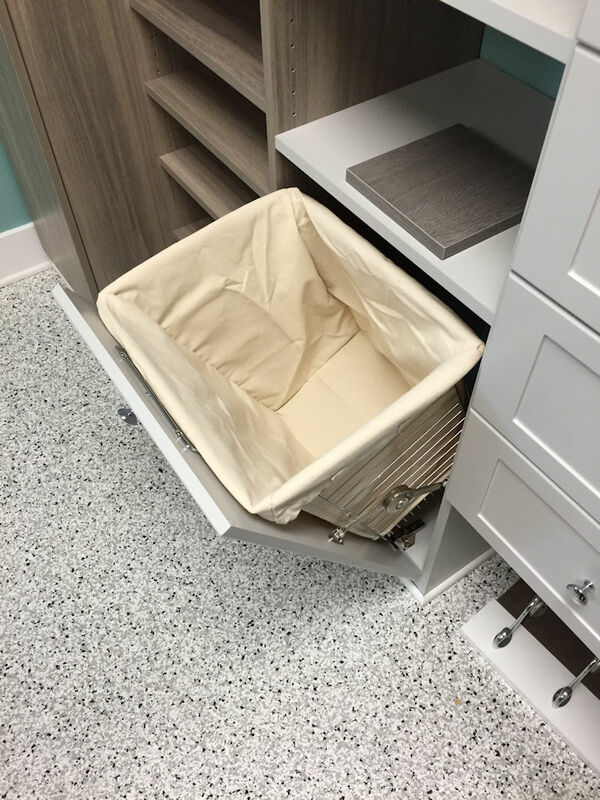 This section has a built-in hamper with a lift-out laundry bag with adjustable shelves above it. 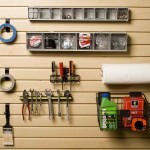 The bank of drawers in the center are a great way to help organize your space. Several options are available for both the drawer boxes and the drawer glides. Options range from standard white melamine boxes with ¾ extension glides to hardwood dovetailed boxes with full extension glides. The right side of the display is in one of the newer colors called “Lenox”. It has a rustic wood look to it which is very popular right now. 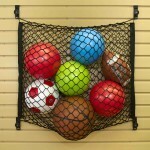 This unit has a small and a large wire pull-out storage basket. How would you like to be able to walk into your pantry and be able to find exactly what you are looking for without having to dig for fifteen minutes? Sound like a dream? Let DKM custom design your pantry and turn that dream into a reality! 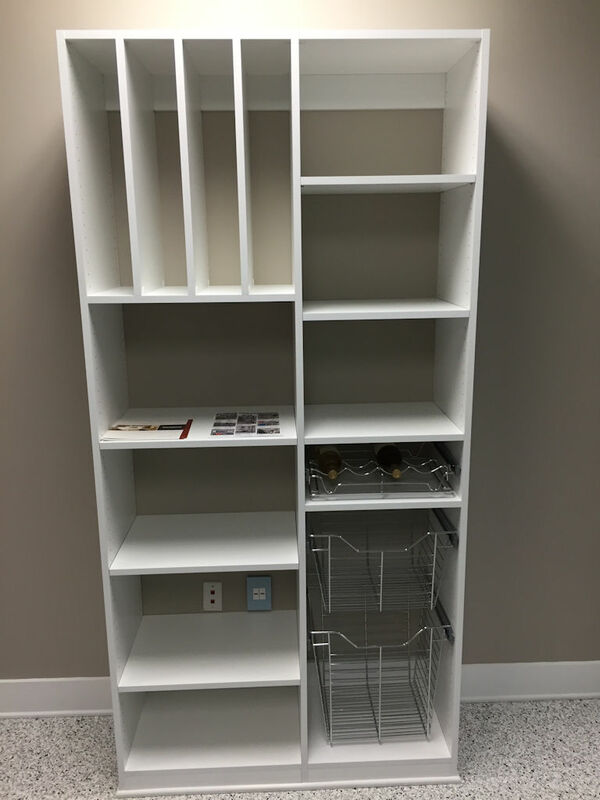 Our pantry systems use the same materials and accessories as our closet systems but have some more specialized pieces as well. Tray dividers provide a way to store those long baking sheets or cutting boards that just don’t fit well in your kitchen cabinets. 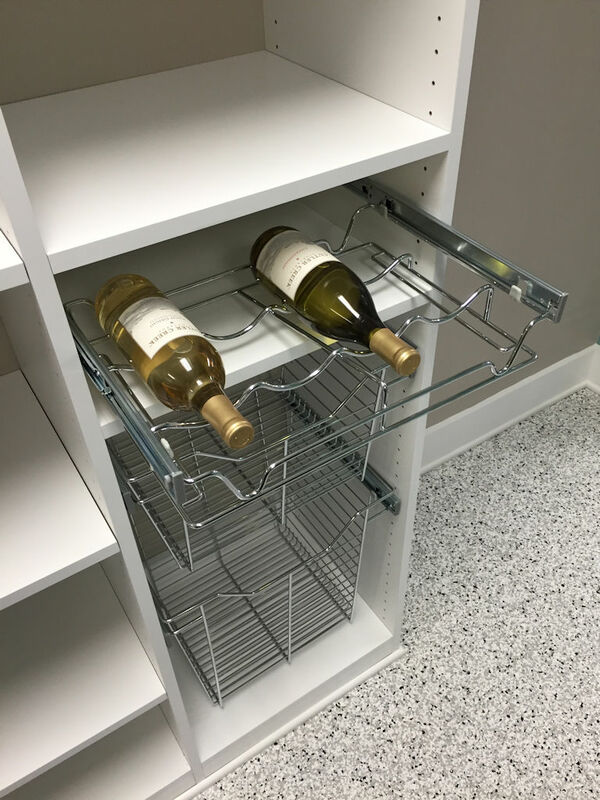 Wine rack pull-outs are an excellent way to keep your favorite vintage close at hand. Okay guys, it’s your turn. Let’s take a look at that garage of yours. Can you find the tool you are looking for? More importantly, does the car fit in the garage or do you have to move something just to be able to walk through there? Maybe it’s time to get some professional help to get it organized and functional again. We have lots of ways to help you in that department. Our garage system display shows just a few of the options available to turn that broken down wreck into the high performance show stopper you have always wanted. 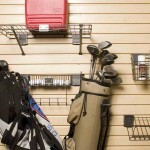 The display is built with adjustable aluminum legs at the bottom to compensate for any slope in your garage floor. The storage wall above the drawers in the display has lots of clutter reducing accessories available. Does your garage floor have cracks or unsightly stains? We can help with that as well. Our epoxy garage floor will fill in those cracks and cover those stains. It comes in several colors and the amount of flakes in the paint can vary from very little to heavy. 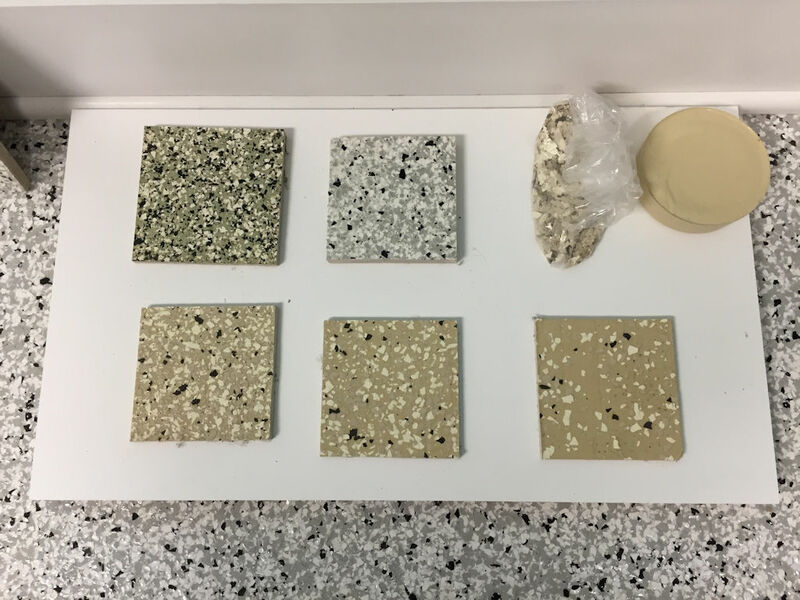 The bottom three samples on the display board are the same color but with varying amounts of flakes. 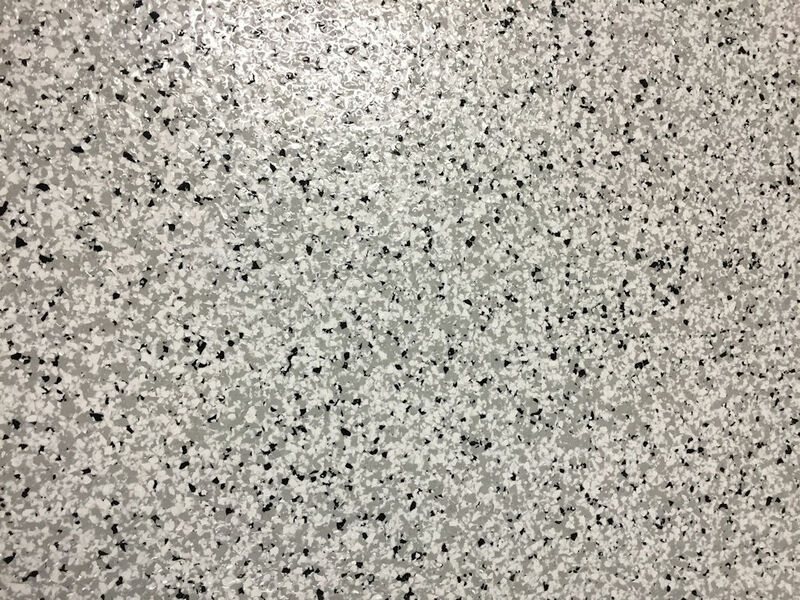 The floor in the display room shows the heavy flake version. Come see us at DKM and let us help you get organized this year. Previous Post A Year in Review: Trends, Innovations, and More!